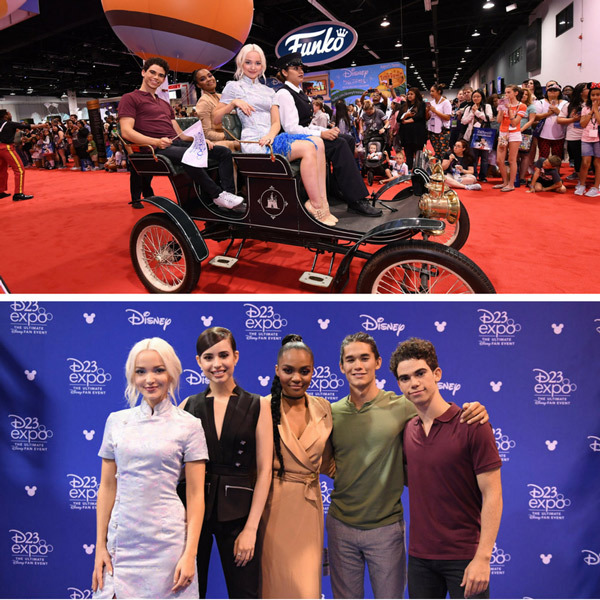 The cast and director of the highly anticipated Disney Channel Original Movie "Descendants 2" descended on the Anaheim Convention Center for the D23 Expo 2017. The movie's stars, Dove Cameron, Cameron Boyce, Sofia Carson and BooBoo Stewart, signed autographs at the Music Emporium, met with fans at Talent Central and participated in the Expo parade. "Descendants 2" director, choreographer and producer Kenny Ortega was also in attendance. In an unprecedented, far-reaching programming event, "Descendants 2" will simultaneously premiere on FRIDAY, JULY 21 (8:00 p.m., ET/PT) across six networks including ABC, Disney Channel, Disney XD, Freeform, Lifetime, Lifetime Movies and branded apps.